Danna Smith is the executive director of Dogwood Alliance. 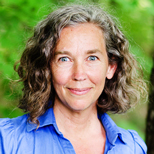 For over 20 years, she has been at the forefront of forest protection in the U.S., leading campaigns and negotiating commitments from Fortune 500 companies. She works to connect the dots between climate change, forest destruction and social justice.